If you haven’t yet heard of The Shires then SERIOUSLY, where have you been?? Such is the demand for people to get to know Ben Earle and Crissie Rhodes, two humble Brits with a huge passion for Country music, taking the UK and USA charts by storm. 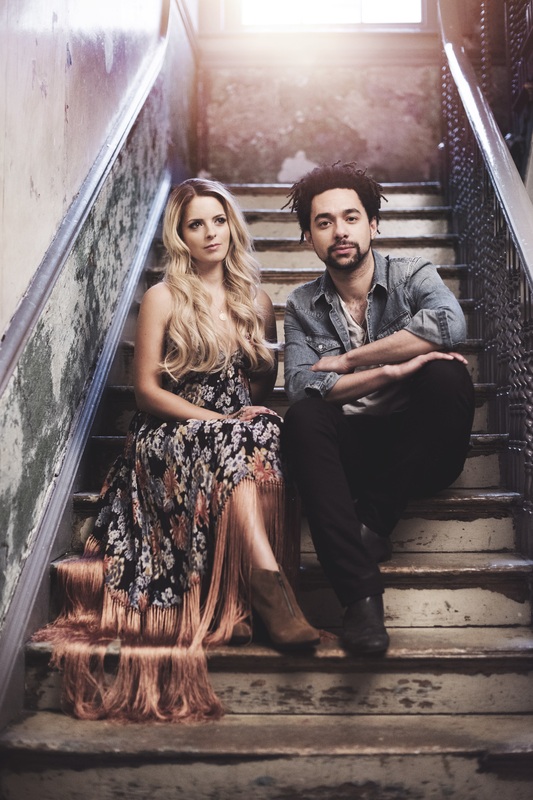 Crissie stole a few minutes away from The Shires studio session to chat with Musicvein about; their experience at the Grand Ole Opry, how Country music as we know it has evolved and feeling a teeny-weeny bit starstruck whilst in Nashville. Musicvein: The Shires has tongues wagging everywhere, you’ve achieved success so quickly! When yourself and Ben joined forces back in 2013, did you try to put a time frame on reaching success? Musicvein: And what was it about the Country Genre that was so appealing to you? Musicvein: Do you have a Country music idol? Musicvein: So how does it feel to be flying the British flag for Country music? Musicvein: And congratulations to you on doing that! I know what you mean there though because before discovering you guys, I too thought that the genre hadn’t moved along but now I actually do say I like Country music! Musicvein: Now we have to talk about Nashville and the Grand Ole Opry show, which is a major achievement, again, congratulations to you both on getting there! Musicvein: And how were you received by Nashville? Musicvein: Were there any moments where you felt a little starstruck? Musicvein: Really, come on not even a teeney-weeny bit? Musicvein: Hahaha No Way! Did he notice? Musicvein: I bet they were so envious, I know I am! Musicvein: So as we’ve touched upon before, the genre you play has evolved so much and seems to be quite popular with a younger generation, do you see that too? Musicvein: Now for those who are new to Country and want to listen to other artists, who would you say they should look out for? Musicvein: Which is your favorite song from Brave? Musicvein: Could you see yourselves relocating to Nashville then to immerse yourself in the scene? Musicvein: And finally you’ve just played Isle of Wight festival, tell me a bit about that?